(Bloomberg Gadfly) — Depending on whom you ask, South Korea’s largest container-shipping company filing for court receivership has shades of good, traces of bad, and dollops of ugly. The last of the three is the most obvious. During the past four years, as global trade first stumbled and then stalled, shareholders in Hanjin Shipping lost almost 93 percent of their investment, with a two-thirds decline occurring just this year. But the ugly outcome for shareholders wasn’t entirely unexpected — not with Hanjin’s debt at the end of last year surging to 152 years’ worth of earnings before interest and taxes. Liquidity, too, became an insurmountable challenge. Between now and end-2017, the company had to repay or refinance more than $900 million of obligations, according to data compiled by Bloomberg. Besides, with control of smaller rival Hyundai Merchant having already passed to creditors, it was clear that Seoul was in no mood to engineer a last-minute rescue for Hanjin. From taxpayers’ perspective, it’s a good thing that their interests are getting precedence over the mighty chaebol, especially the likes of Hanjin Group, whose Chairman Cho Yang-Ho’s daughter was the central character in the country’s infamous “nut rage” drama two years ago. To be sure, there wasn’t much of a case for a state-sponsored bailout. Contagion risks are low because the big creditors to the industry aren’t commercial banks but state-controlled policy lenders, such as Korea Development Bank. 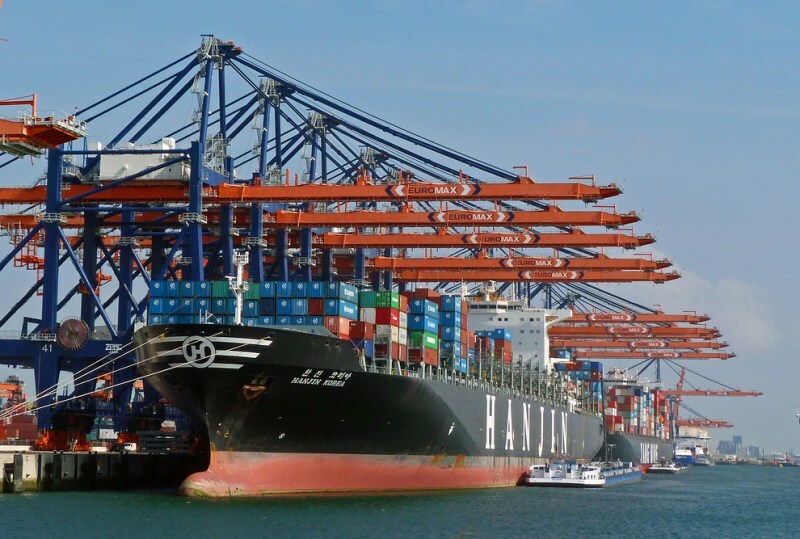 With the latter joining other claimants in rejecting Hanjin’s restructuring plans as inadequate, it became clear the government wouldn’t postpone the inevitable by throwing good money after bad. Still, it’s nearly impossible for an export-driven “Asian Tiger” to stand by and watch its role in global trade flows wane. Sure enough, the Korean Financial Services Commission responded to Hanjin’s receivership announcement by saying it would seek ways for Hyundai Merchant to buy the bankrupt company’s healthy assets. Hyundai Merchant’s shares jumped as much as 28 percent on the news. For Korea Development Bank and other lenders who now own the biggest chunk of its stock, this is probably the best chance to recoup as much as they can of their soured advances. But it’s bad news for global shipping. If consolidation alone was enough to save the industry from its gross oversupply of vessels, Hanjin might not have got into this position in the first place. 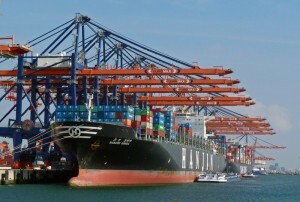 Over the past 18 months, Hamburg Sued has bought the container unit of Chile’s CCNI; France’s CMA CGM has spent $2.4 billion buying Singapore’s Neptune Orient Line; Hapag-Lloyd has taken over United Arab Shipping Co.; and the web of shipping and ports businesses controlled by Cosco Group and China Shipping have been remixed into a more focused group of companies. But the global container fleet has continued to grow, if at a reduced pace, while rates remain on the floor. Changing the names on the ownership documents of vessels, as would happen with a sale of Hanjin’s fleet to Hyundai Merchant, would do nothing to change that dynamic. What’s needed is either for global trade volumes to grow into the spare capacity that’s floating around the high seas, or for shipowners to send more vessels to India, Bangladesh and Pakistan to be broken up. The solution to the crisis in global shipping doesn’t lie in the office of a bankruptcy lawyer, but in a scrapyard.